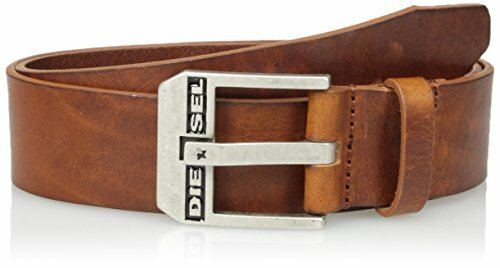 Diesel blue star shiny bottled leather belt with embossed logo buckle. Made in Romania. 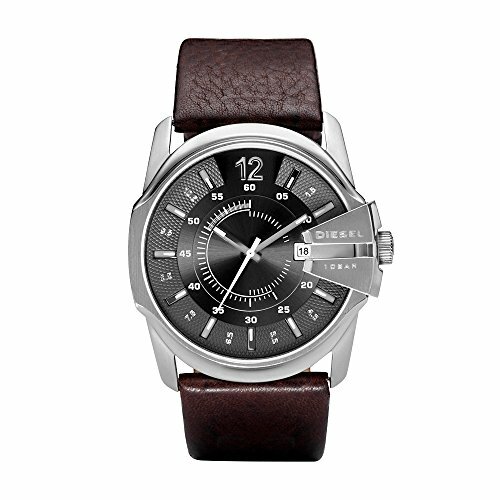 This fine timepiece from Diesel features a stainless steel case on a brown leather strap with a tang buckle. The men's watch has a silver dial with hour and minute indices and a convenient day and date display at 3 o'clock. 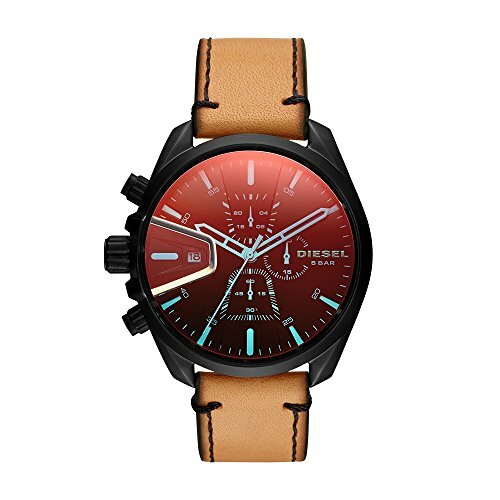 It is water resistant up to 33 meters. Add high-tech style with signature Diesel flair to any look with the DieselOn Time hybrid smartwatch. 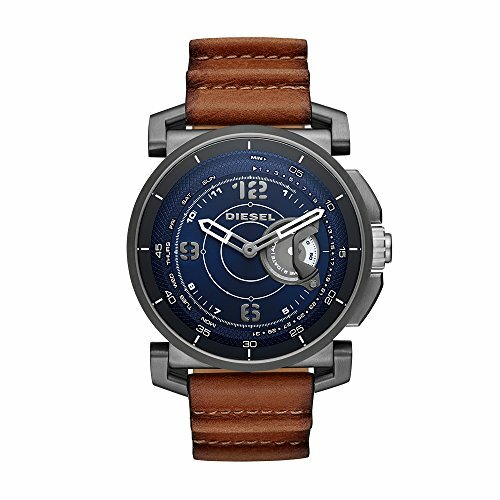 A gunmetal case is paired with a dark brown leather padded strap and a blue sunray dial with applied brushed gunmetal arabics and white printed tracking. Track your activity using the sub-disc on the dial, so you'll know the second you've reached goal and you can reward yourself later. The sleep tracker will help you recount your light, restful and awake time. Receive alerts on your watch so you never miss a call from your boss (or so you DO miss calls from your ex). Use the link function to play or pause music, hit next/previous track, snag a photo or ring your phone. Silver tone dial with applied indices three hands blue and white tracking date window and logo. Round stainless steel case 50x46mm. 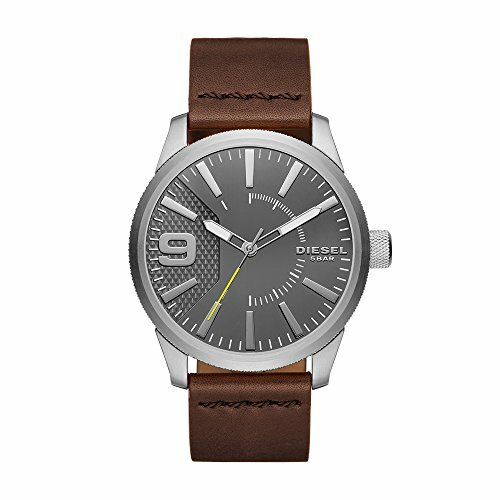 Light brown leather strap. 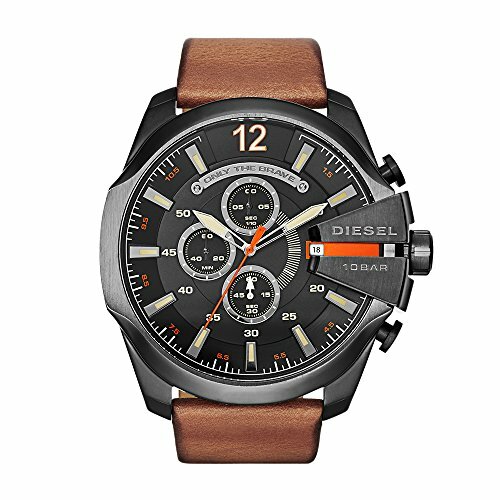 Keep your style clear and concise with the rigorously refined design of this Diesel® timepiece. Stainless steel case. 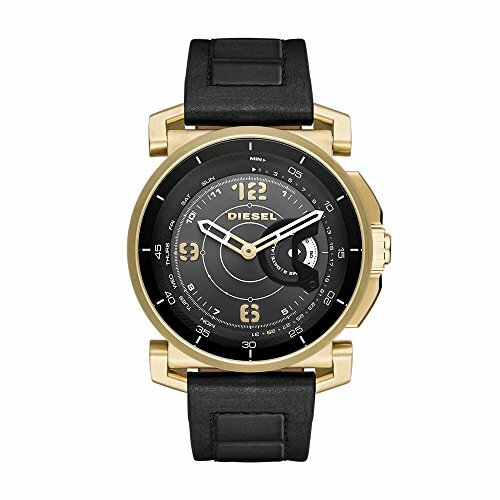 Leather band features an adjustable buckle closure. Round face. Three-hand analog display with quartz movement. 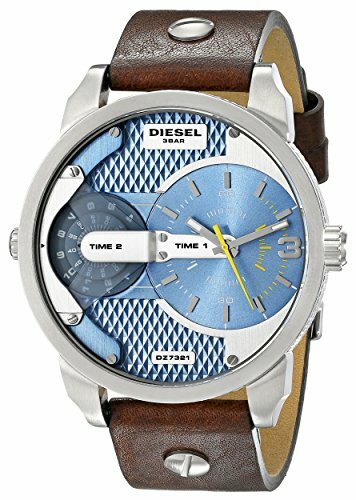 Textured dial features two dials for use with two different time zones, larger dial features silver-tone hour markers and hands and a minute track, smaller dial features rotating hour makers and minutes, and diesel detailing. Water resistant 3 ATM/30m. Imported. 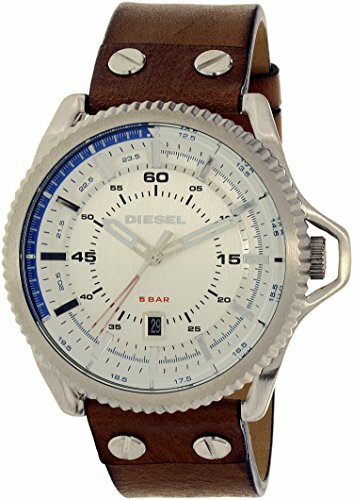 Looking for more Diesel Mens Brown Leather similar ideas? Try to explore these searches: Bandless Earmuffs, Canvas Baseball, and Cotton Knit Gown.